The ESD #10 Board will meet in the kitchen area of the Coupland Fire Station while the City Council meets in the main meeting room. It will be like going to your favorite megaplex movie theater. If you don’t like one show, you can go check out the other! This entry was posted in Local Government, What's New? and tagged Williamson County Emergency Services District 10 on December 10, 2013 by Stewart Dale Spencer. 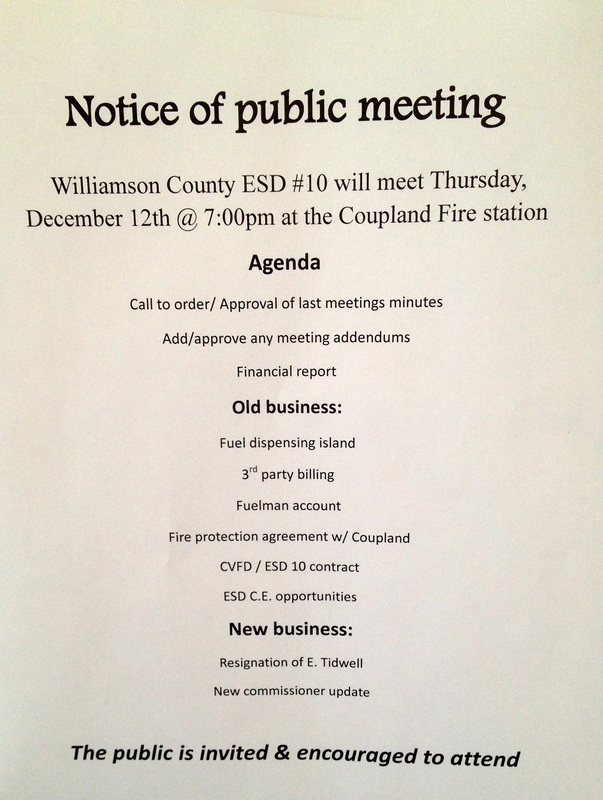 The Williamson County ESD #10 Commissioners will meet Tuesday, November 19th @ 7:00pm at the Coupland Fire Station. This entry was posted in Local Government, What's New? and tagged Williamson County Emergency Services District 10 on November 16, 2013 by Stewart Dale Spencer. 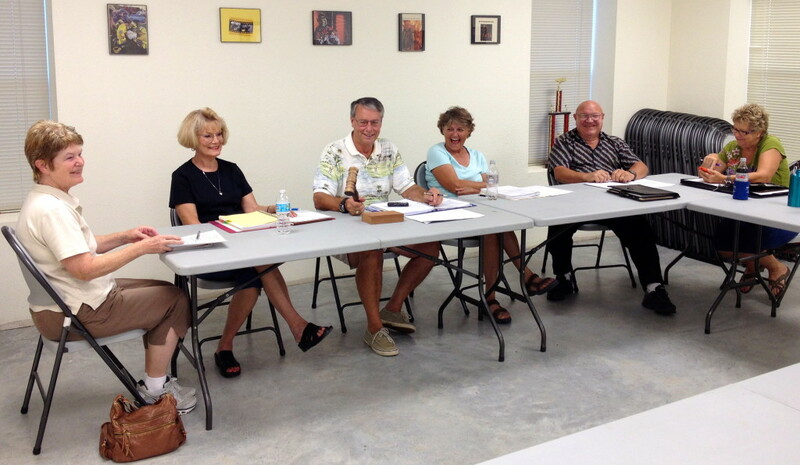 This entry was posted in Local Government, What's New? 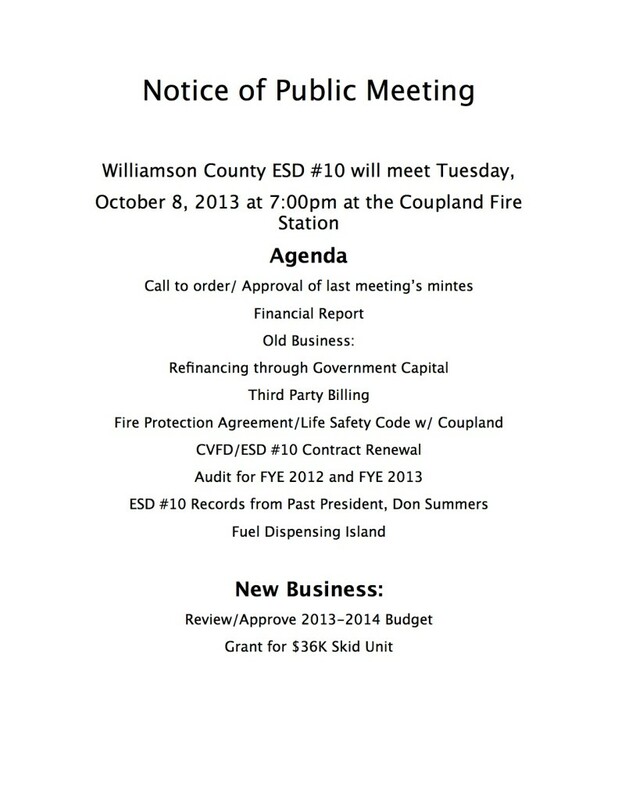 and tagged Williamson County Emergency Services District 10 on October 7, 2013 by Stewart Dale Spencer. This entry was posted in Local Government, What's New? 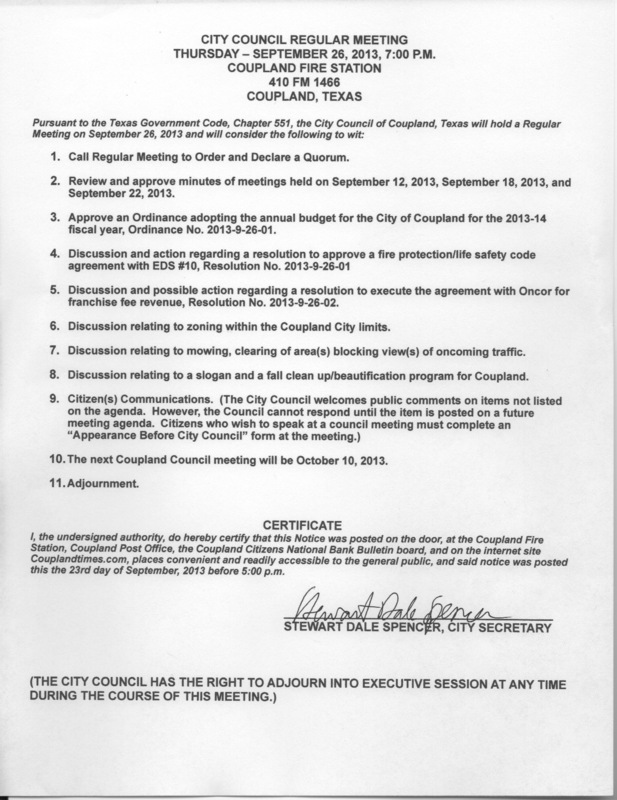 and tagged city council meeting, City of Coupland Texas, FY 2014 Budget, Williamson County Emergency Services District 10, zoning ordinance on September 23, 2013 by Stewart Dale Spencer. This entry was posted in Local Government, What's New? 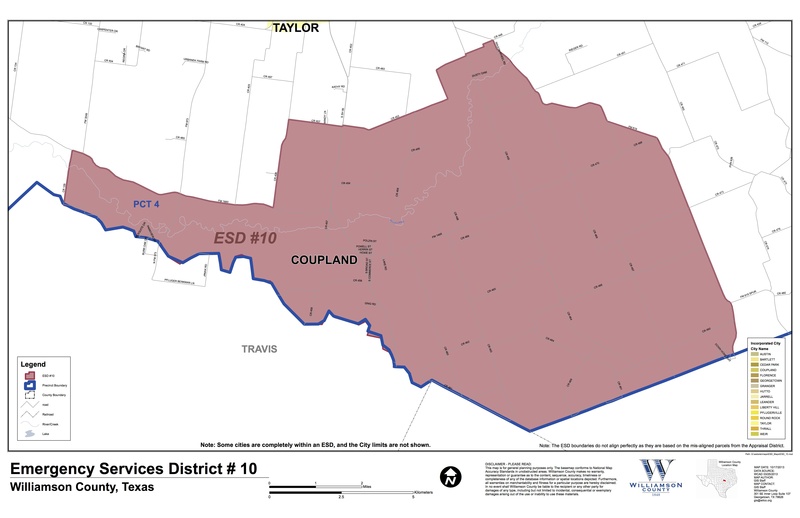 and tagged Williamson County Emergency Services District 10 on September 9, 2013 by Stewart Dale Spencer.